The next batch of the Discover Great Coffee Club is almost upon us. It will arrive on your doorstep when the first chill has crept into the sunrise and that cup of coffee becomes all the more important. This drop promises to be spectacular with coffees from Port Edward (one of the country's few coffee farms! ), Somerset West, the KZN Midlands, Moses Mabhida Stadium, and two roasteries from the bustling metropolis of Johannesburg! slight variation in flavour which adds to it's further enhanced taste once roasted in Beaver Creek's antique drum roaster. Ed's blend has a distinctive aroma and a taste profile of pleasant honey and almonds. häzz is an initiative with over 20 years experience in the coffee industry that sources, roasts, blends and makes coffee right. häzz coffee is rich and subtle, a truly modern blend of South American and African origin, suitable for any palate. It offers an exceptional wide range of aromas, accompanied by a bold but round and smooth body and perfect in espresso, flat white, plunger or moka pot. Every batch is freshly roasted to perfection with the utmost care. häzz entered the International Coffee Tasting in Italy in 2012, competing against 26 other countries, where was awarded a gold medal. This is Terbodore's special blend. Sourcing beans from Ethiopia and Indonesia, the roaster is able to create a flavour profile that exhibits floral aromas and leaves you with a lingering dark chocolate flavour. The Macaskills - Mark, Marian and Michael - have been roasting coffee since 2004. What started off as a hobby, has now grown into a business, including a roastery, restaurant and retail shop in Currys Post, KZN - part of the Midlands Meander. 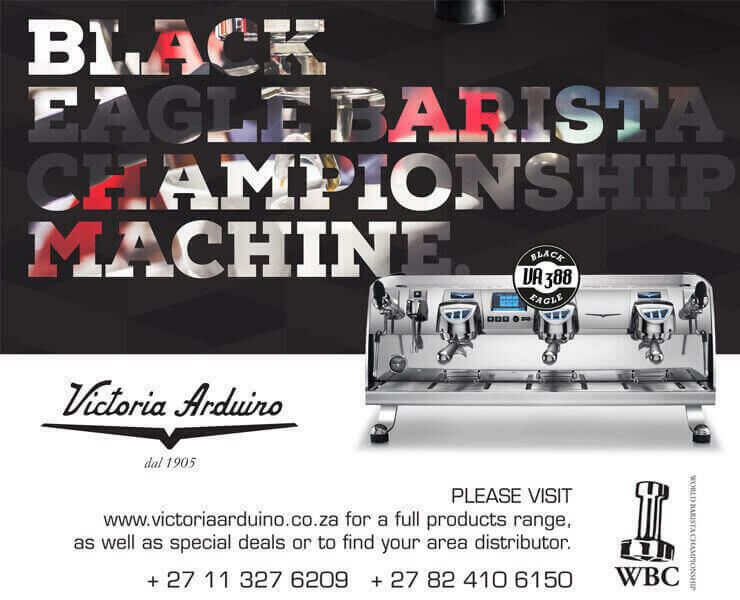 About 2 years ago they expanded the business to the Western Cape, with a second roastery opening in Franschhoek. Even though the roastery has grown over the past 9 years, their passion is still in supplying superb coffee to the hospitality industry and private individuals, country wide. Newly opened at the Moses Mabhida Stadium, JACKSONVILLE IS A PREMIUM Cafe run by well know Durban coffee enthusiast, Clint Wolters. The Jacksonville ESPRESSO BLEND, REPRESENTS THE FINEST SELECTION OF 100% ARABICA BEANS SOURCED FROM GAUTEMALA TRES MARIAS, ETHIOPIA, MALAWI, ZAMBIA AND TANZANIA. THIS MEDIUM DARK ROAST BOASTS GOOD BODY AND PRESENTS SMOOTH AND MELLOW IN THE CUP. AS A TYPICAL ESPRESSO AT OPTIMUM EXTRACTION THE YIELD WILL PRESENT COCOA AND CINNAMON UNDERTONES. Foghound Interactive Coffee Company is founded on the basis of creativity, quality and perfection and focused on being a one-stop-bean-to-cup coffee solution that speaks directly to the hearts of the discerning coffee drinker. They offer the consumer a 360 degree coffee solution. A culmination of their passion and skills is expressed in the new signature blend #24, exceptional coffee packaged in a innovative way. Number 24 is sourced from origins confined to the Southern Hemisphere and is dominated by South American origins with the overtone of African heritage. It has a very pleasant finish, smooth with floral and toasted nut notes. The coffee is medium bodied with a mild acidity. Clean, elegant and crisp. extremely balanced.